The movement to invest in Oregon made history this week. 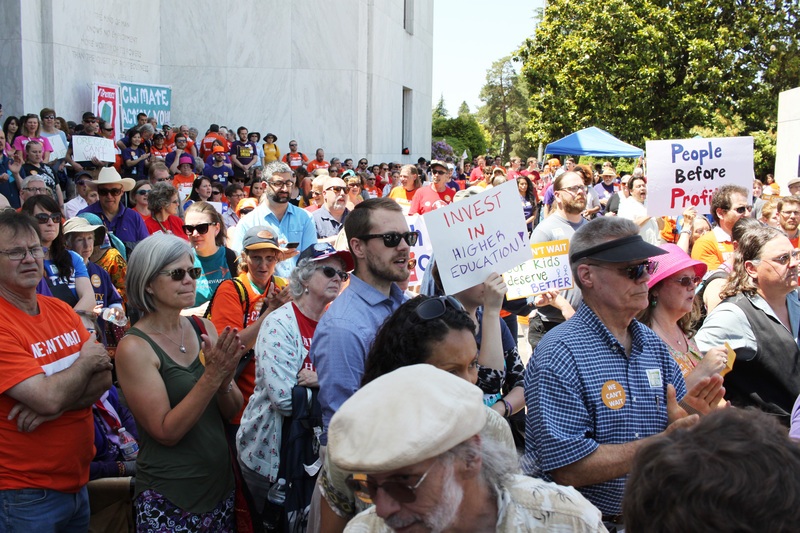 Yesterday, over 1,000 Oregonians rallied for revenue at the Capitol in one of the largest demonstrations Salem has ever seen — and 21,000 more tuned in to watch the action on our live stream. Yesterday’s rally made one thing clear: With just a month left until the end of the legislative session, we can’t afford to wait another day for legislators to take action on raising revenue. As Trump’s disastrous budget cuts and the repeal of the Affordable Care Act grow closer on the horizon, Oregon families are counting on our state’s leaders to defend our schools, health care, and safety net. If the status quo continues and Oregon’s taxes stay among the lowest in the nation, families won’t just have to contend with these national attacks on their security — they’ll face cuts to today’s already-inadequate funding for schools and critical services. In fact, just yesterday a legislative committee approved an education budget bill that would continue to keep our schools from fulfilling the Quality Education Model. Crowding fifty children into a single classroom and chopping weeks off the school year shouldn’t be the norm. As Oregon’s economy grows, it’s more important than ever that our kids can reach their full potential. But until we hold large corporations accountable for their fair share, budgets like this will ensure that our families will only see more of the same. This can’t continue. Yesterday, Oregonians from all walks of life, from students, parents, and teachers to local business owners, nurses, and care providers sent the legislature a message loud and clear: The status quo is a crisis, and we need action now. We can’t let our message be ignored. 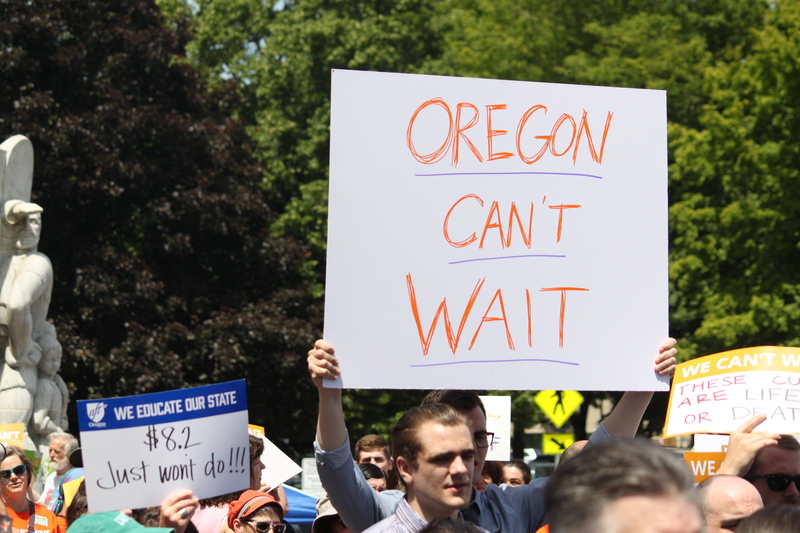 Help us spread the word by sharing the Oregon Can’t Wait Rally with your friends!